Eclectic Paperie: Luckily Ever After! Good Morning EPeeps!! 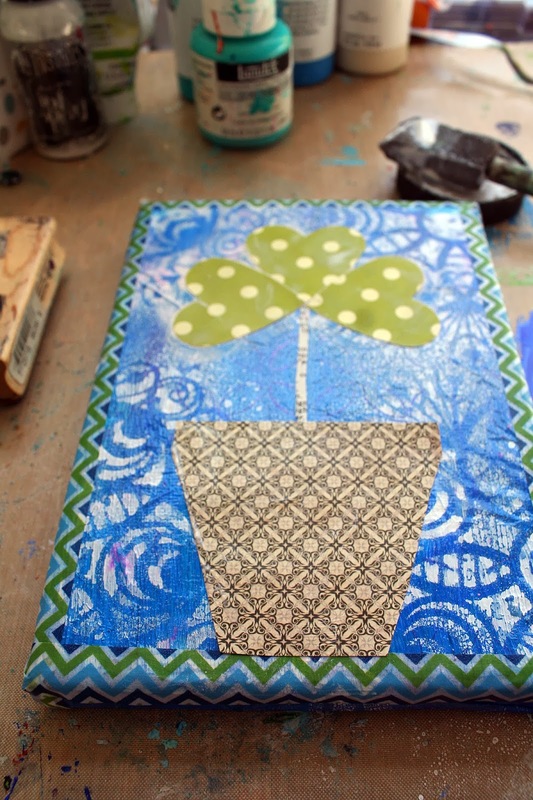 St. Patrick's Day is coming up and I wanted to share with you a little canvas I made of a lucky four leaf clover!! 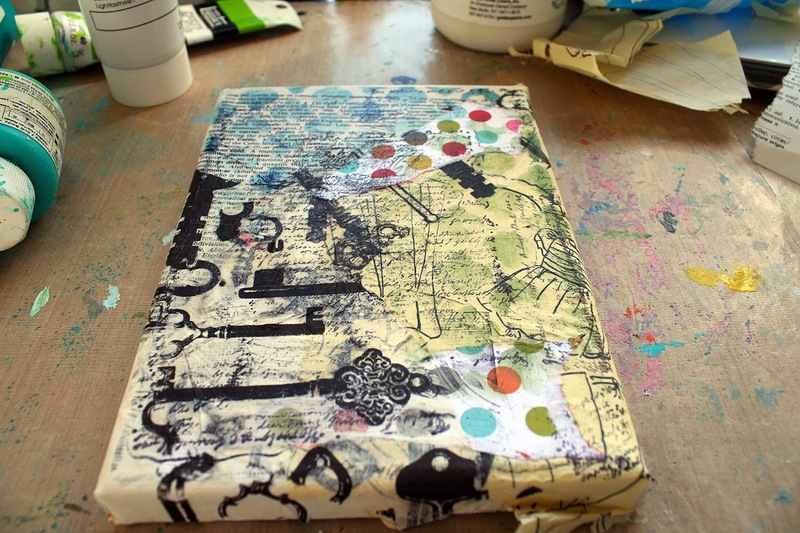 This is a super fun little project - you could make one for a friend or just for yourself!! 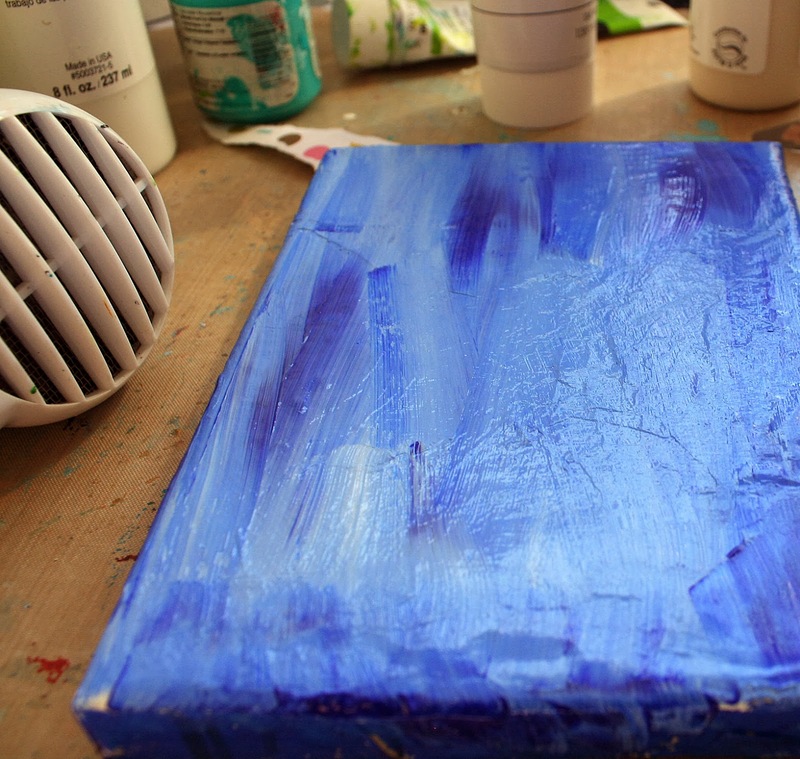 You just need a small canvas, blue paint, white spray and some fun paper!! I started off with another background idea in mind. I just couldn't get it to look right ... but we know that even when we are stuck to just keep going. You never know what the end will turn out to be!! To lighten up the blue, I used Dylusions White Linen spray. 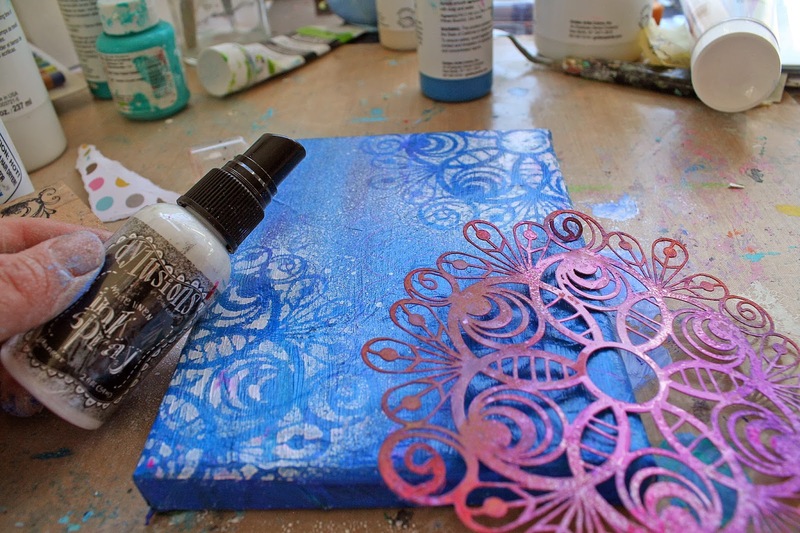 I used one of my favorite stencils, The Crafter's Warehouse Peacock Doily, to create the shapes in the background. 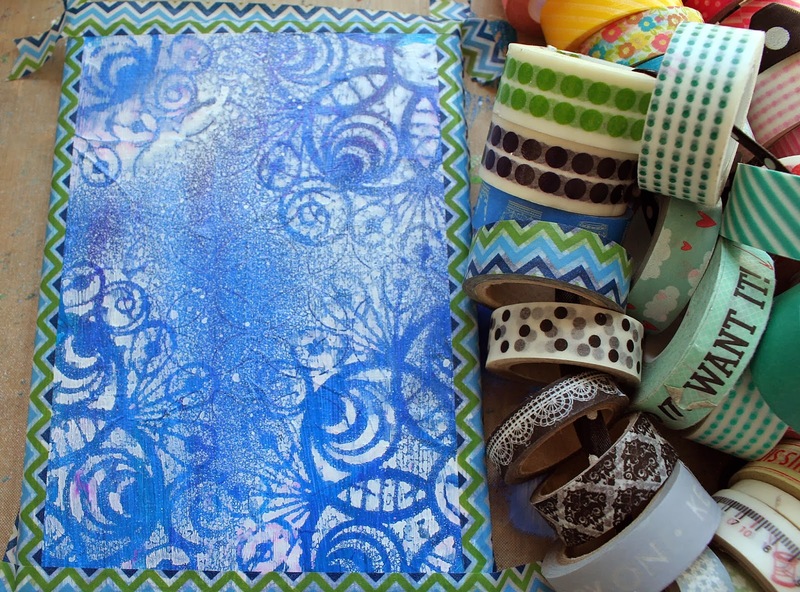 Then I took out my fun washi tape collection and created a border around the edge! Using an old heart shaped paper punch and some scrap paper, I punched out 4 hearts for the leaves. Then I grabbed my new favorite Authentique Aboard paper to make the planter! I used gel medium to glue them down. I was careful not to smear it around because the Dylustions spray will reactivate and move around with the gel medium! Doodles, rub-ons, and highlights finish off the canvas! PS - I also can't wait to see what you all create for this month's ePlay Challenge . . . did you find a book to alter yet???? Have any questions? Feel free to ask me!! 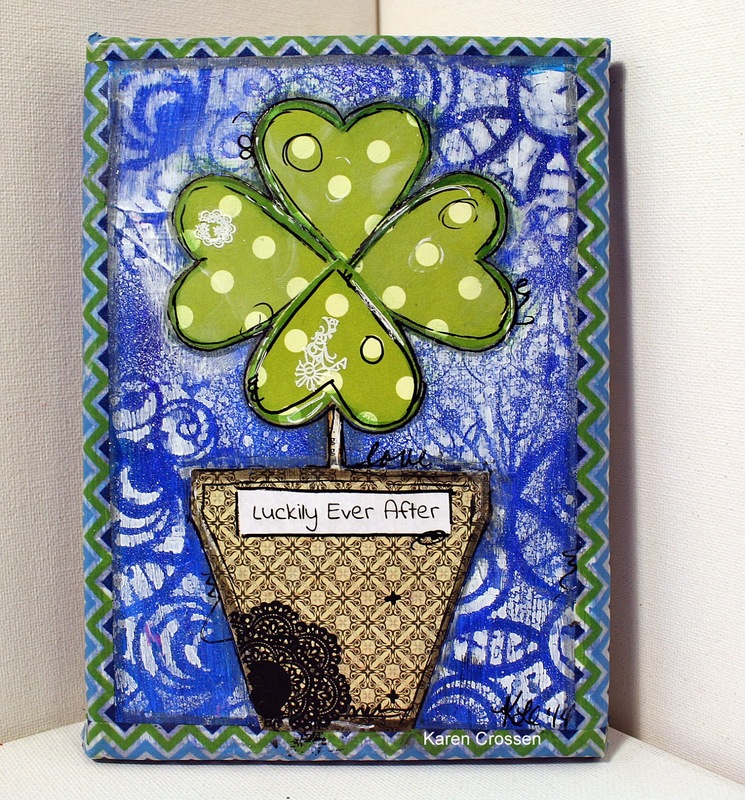 The four leaf clover is such fun and I really love the beautiful stenciled background. The washi tape makes a great frame too. Karen, I just LOVE this canvas! Your washi tape border is FAB and so is the sentiment with the clover made of hearts! PERFECT for St Pat's Day! Karen I looooove it, I am a huuuge fan of your work!!!! You made a fantastic canvas. And LOVE your background. This stencil and white spray made it so impressive. Great idea using hearts for the flower and tape for the frame. Wow ! !